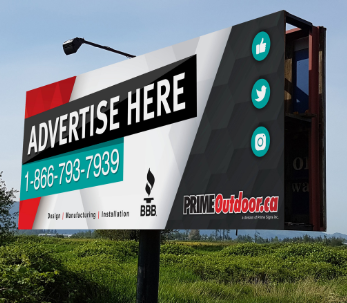 Prime Outdoor is a division of Prime Signs Inc. located in Chilliwack, British Columbia. With deep roots in the community, Prime Outdoor uses the same customer centric focus that has allowed parent company Prime Signs Inc. to be successful. Relationships are important to us and we strive to provide a positive experience from initial handshake through to project completion. We provide state of the art billboard design and installation in high traffic areas around the province of BC providing our customers with a solid return on investment and a unique branding opportunity. Impressions, or views, are one of the key performance indicators (KPI’s) of any advertising campaign, and with over 29 million impressions per year, our billboards provide a superior KPI and an unmatched return on investment.